HomeShoes That Accommodate OrthoticsThe Best Women’s Shoes For Orthotics – Deep And Supportive! The Best Women’s Shoes For Orthotics – Deep And Supportive! Have you been diagnosed with flat feet or overpronation? Has your physical or occupational therapist recommended that you wear supportive shoes with orthotics? 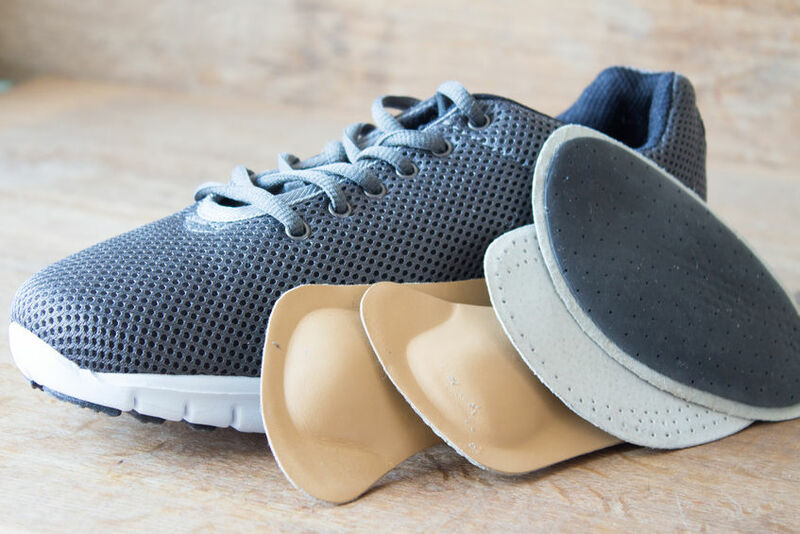 Did you know that orthotics can improve your posture by preventing your feet from collapsing and aligning your feet and legs, helping you walk and run straighter? I have been working at a family shoe store for over 10 years where we evaluate children, women and men with foot issues and we specialize in fitting women’s shoes and orthotics for foot and leg issues, but we provide regular shoe fitting as well. In addition, I have been helping women find the correct pair of shoes online for the past three years, and in this article, I will provide you with a selection of the best shoes that fit orthotic inserts for women. It is very important to keep in mind that it doesn’t matter how supportive the orthotic that you choose is, if the shoes that you are wearing are not supportive and the correct size, you WON’T get any of the benefits that the orthotics have to offer. Overpronation occurs when a person has flat feet or rolled ankles, and you will notice how when you are standing and putting pressure on your feet, your feet collapse causing the feet and legs to turn inwards. In addition, overpronation can also occur when a woman has rolled ankles. In this case, a shoe with a firm heel counter and an orthotic with a heel cup will help straighten your ankles and prevent them from turning inwards or outwards. I have helped and seen many cases of women with foot and leg pain, and my advice to them is to always START by checking the shoes that they are wearing. Shoes That Fit Orthotic Inserts – What Features Must They Provide? There are many women that are experiencing foot and leg pain since they are NOT wearing the correct type of shoes. In some cases, a woman might be wearing a pair of good and supportive shoes but also needs extra support from an orthotic. Firm heel counter: The shoes must come with a firm heel counter that will provide ankle support and work with the orthotic in reducing the impact that your feet take every time they come in contact with the ground. A firm heel counter will also help straighten your ankles. As you can see, this is a very important feature since the heel counter of the shoe provides a key role in supporting and correcting your heels. Remember how when a woman is overpronating it can be from being flat footed or from having rolled ankles, or both. Substantial sole: The shoes must provide a substantial sole to hold the orthotic in place and reduce the impact that your feet take every time they come in contact with the ground. Breathable: This is an important feature since it’s crucial to allow your feet to breathe in order to prevent the formation of bacteria inside the shoes. Flexible and lightweight: Although the shoes must be supportive, they must be lightweight and flexible at the same time, since this will help prevent your feet and legs from easily getting tired. Remember that if you find a shoe that provides all of these features you will be keeping your feet and legs healthy, and you will get the full benefits that the orthotics have to offer! 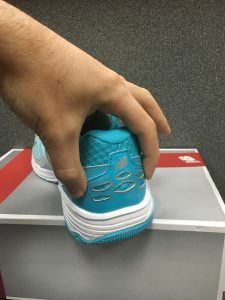 I will describe in this article the best women’s shoes for orthotics so you can STOP your overpronation due to having flat feet or rolled ankles. IMPORTANT TIP: In order to get the full benefits that the orthotics have to offer, please make sure that you are always tying your shoelaces properly. This means that they need to be pulled tightly, since this will provide you with more support and stability, and prevent the orthotics from moving inside the shoes. Are You Wearing the Correct Shoe Size? – Let’s Get It Right! I am constantly emphasizing to women the importance of buying the correct shoe size. If your shoes are too short, too long, too narrow, or too wide, you will end up creating all sort of foot issues to your feet such as blisters, calluses, or corns (including foot and leg pain). That is the reason why I always recommend women to have their feet properly measured at their preferred local shoe store that they TRUST, where a shoe fitter can properly measure their feet and find shoes accordingly. How To Measure Your Foot Shoe Size From Home – The Most Simple And Effective Way! In that article, I explain in detail how to measure your shoe size from home, but if you are unsure about a particular step of the measuring process please let me know. Let’s Take A Look at How the Shoes and Orthotics Work Together! Take a look at the picture below of a woman who is flat footed and is wearing shoes with orthotics. Notice how her right foot looks so much straighter than her left one, since the New Balance is a much more supportive and deeper shoe. The shoe on the left (Nike), is not preventing her foot from collapsing since you can see how the foot is turning inwards. This example proves how the shoes and the orthotics need to both be supportive in order for you to get all the benefits from them. If you fit a good supportive orthotic in a pair of shoes that are too flimsy, you will continue overpronating (as we notice in the picture above). and putting pressure in areas of your body where you are not supposed to. Now that you are aware what are the features a good supportive shoe must provide and how to make sure that you are wearing the correct shoe size, let’s take a look at a selection of the best women’s shoes for orthotics. All of the shoe styles described below come with a substantial sole that provides arch support, a firm heel counter that provides ankle support, and they are DEEP, lightweight, flexible, and breathable. The first two shoe styles from the left (New Balance) fit ” true to size”, which means that you need to get you get yourself a half a size longer of the size that they measure in the Brannock device (foot measuring device). This will allow you to fit an orthotic inside the shoes and prevent your toes from rubbing against the front or the side of the shoes. The last two shoe styles from the left (Asics) fit “short”,which means that you need to get you get yourself a full size longer of the size that they measure in the foot measuring device in order to fit an orthotic inside the shoes. IMPORTANT TIP: If you have extra wide feet, I recommend that you choose any of the New Balance shoe styles instead of the Asics ones, since the New Balance shoe styles are deeper and come with a much rounder toe-box. Best Shoes For Orthotic Inserts- Don’t Ignore Your Children Feet Or Leg Pain! Sport Shoes That Fit Orthotic Inserts – They Do Exist! Did you know that there are certain cleats that you will be able to fit an orthotic? 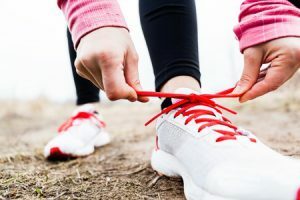 When we are playing a particular sport, we are stressing our feet and legs at a whole different level, and that constant impact when we are running, jumping, or moving side to side can lead to foot and leg pain. Wide Soccer Cleats For Women – They Do EXIST! I will be posting which are the best basketball, baseball, and football cleats that work with orthotics shortly. So now that you know which are the best women’s shoes for orthotics, you are ready to make a better and more informed decision. Have you tried any of these shoe styles before? Have they worked well with your orthotic? Please share your thoughts and experiences below so other women can benefit from them as well. My name is Juan Valenzuela and I have been fitting women's shoes for the last 10 years. I have helped several women who claimed that their feet were too wide or too narrow to find that particular shoe style that they didn’t even know it existed. I have also helped women who were experiencing a certain foot condition such as flat feet, overpronation, bunions hammer toes, find the perfect pair of shoes to help prevent and treat those foot conditions. I know which shoe brands and shoe styles are better than others and if you ever have trouble finding a particular shoe style please do not hesitate to contact me. The Best Shoes for Women with Heel Pain – Alleviate your Heel Pain! The Best Shoes for Women with High Insteps — Deep and with a Round Toe-Box! Best Orthopedic Sandals for Women — Find Comfort and Stop the Pain! The Best Hiking Socks for Women — Breathable, Soft, Comfortable, and Durable! The Best Women’s Sandals for Plantar Fasciitis – Supportive, Lightweight, Flexible and with Extra Heel Support! What Type Of Shoes Are You looking For? Juan Pablo Valenzuela on Women’s Shoes with a Wide Toe Box and a Narrow Heel – Let me Help you Find Them! Louise M on Women’s Shoes with a Wide Toe Box and a Narrow Heel – Let me Help you Find Them! Karen Hanosh on Foot Pain In The Top Of The Foot – The Best Shoes For Women With High Instep! Juan Pablo Valenzuela on Foot Pain In The Top Of The Foot – The Best Shoes For Women With High Instep!